Derived from the renowned multi-volume International Encyclopaedia of Laws, this practical analysis of sports law in Denmark deals with the regulation of sports activity by both public authorities and private sports organizations. The growing internationalization of sports inevitably increases the weight of global regulation, yet each country maintains its own distinct regime of sports law and its own national and local sports organizations. Sports law at a national or organizational level thus gains a growing relevance in comparative law. The book describes and discusses both state-created rules and autonomous self-regulation regarding the variety of economic, social, commercial, cultural, and political aspects of sports activities. Self- regulation manifests itself in the form of by-laws, and encompasses organizational provisions, disciplinary rules, and rules of play. However, the trend towards more professionalism in sports and the growing economic, social and cultural relevance of sports have prompted an increasing reliance on legal rules adopted by public authorities. This form of regulation appears in a variety of legal areas, including criminal law, labour law, commercial law, tax law, competition law, and tort law, and may vary following a particular type or sector of sport. It is in this dual and overlapping context that such much-publicized aspects as doping, sponsoring and media, and responsibility for injuries are legally measured. This monograph fills a gap in the legal literature by giving academics, practitioners, sports organizations, and policy makers access to sports law at this specific level. 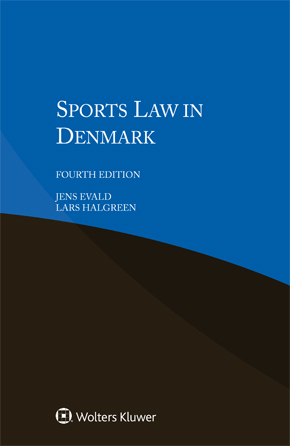 Lawyers representing parties with interests in Denmark will welcome this very useful guide, and academics and researchers will appreciate its value in the study of comparative sports law.